If India is to prosper as a truly democratic nation, it cannot allow a sizeable section of its citizens—the Kashmiris—to live in perpetual disenchantment and despair, writes Ruben Banerjee. 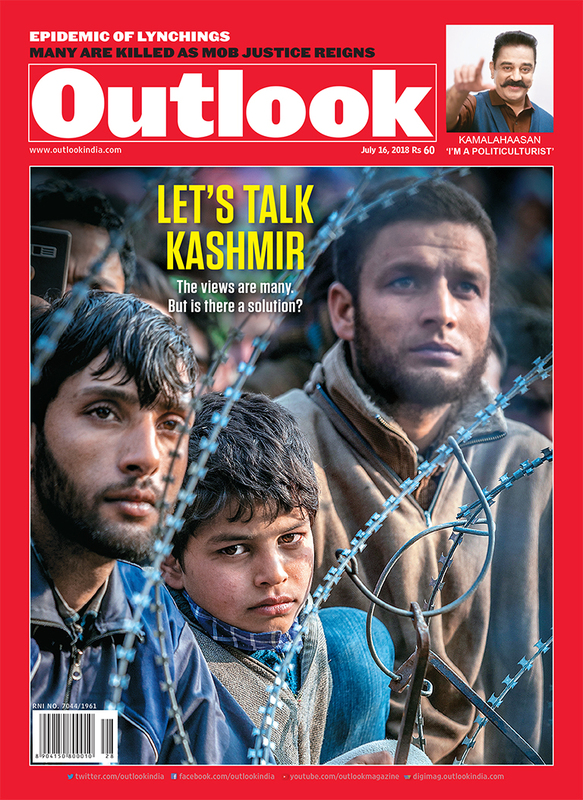 An Outlook Roundtable on Kashmir finds early signs of meeting points that may open new roads. It’s time for a new narrative and ­idiom to break the logjam. A Kashmir ­Roundtable finds early signs of meeting points that may open new roads. Hurriyat Conference leader Mirwaiz Umer Farooq says ceasefire is no solution to Kashmir issue. Rughonath Vaishnavi gave over his life to Kashmir’s demand for self-determination. Voices like his, founded on a democratic impulse, muddy India’s neat narratives. Nine lenses. Two decades. Kashmir as a visual almanac, a tragedy trapped in a photo album. Omar Abdullah says an ­independent Jammu and Kashmir is unviable economically, strategically, and in all other terms. The political narrative in Kashmir has changed after youths took over the reins of dissent. Unless New Delhi changes tack, Kashmir will slip away. Kamal Haasan is trying to be a new force in Tamil Nadu, combining his intellect, popularity and charisma in an attempt to change the political culture of a state hit by waves of corruption and larger-than-life leaders. Care For A Cow ­Safari In Jaipur? Planning to update your bookshelf? Here’s a list of new books up for grabs. A Commonwealth Short Story Prize-winning author’s diary of events on his last link to Kashmir. What questions did the UP Congress ask in a written test conducted to select spokespersons; a Sri Lankan govt probe report has details on Mahinda Rajapaksa’s campaign funds; and how Laden, the elephant, is wreaking havoc in Assam. Read all this and more here. Gauri Lankesh’s eventful career thrums in the warmth of personal recollection. Will her end, in this spell of medieval illiberalism, prompt a fightback?